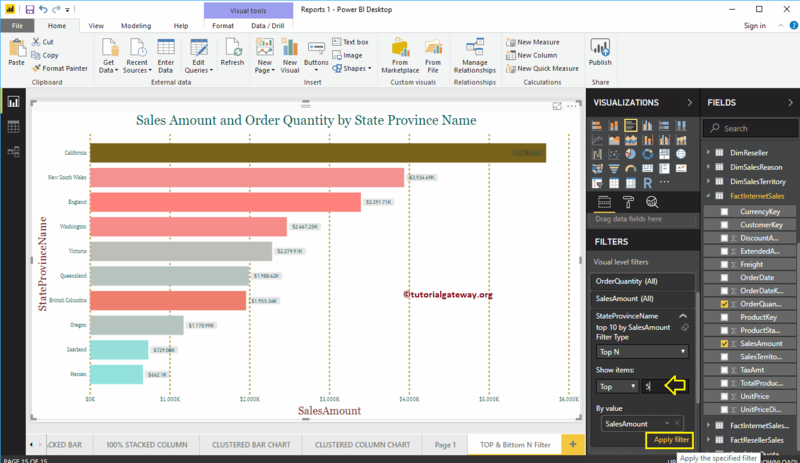 Power BI Top N Filters are used to display the top performing records, and Bottom N filters are used to display least performing records. For example, we can display top or bottom 10 products by orders or sales. In this article we will show you, How to create Power BI Top 10 Filters and Bottom filters with example. 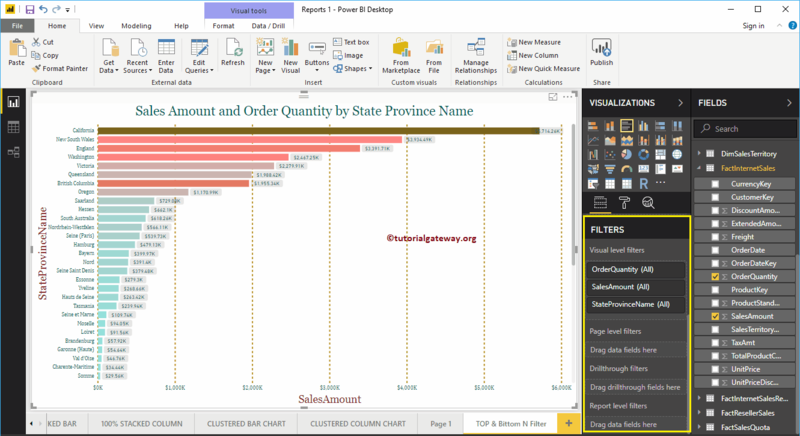 To demonstrate the Top N Filters in Power BI, we are going to use the Bar Chart that we created in our earlier post. As you can see from the below screenshot, we used the State Province Name as the Axis field, Sales amount as the Value field, and Order Quantity as Color saturation. Show Items: Top was selected by default. However, you can change this to Bottom, by clicking the down arrow. Empty Text box: Please specify any integer value. For example, 10 means, top 10 records. By Value: You have to drag and drop the required Measure value present in the Fields. 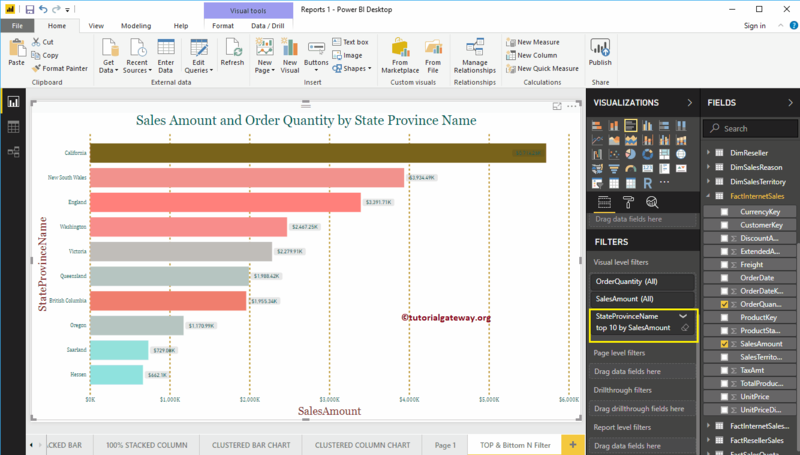 Top N filter will use this Measure to find Top 10 and Bottom 10 records. 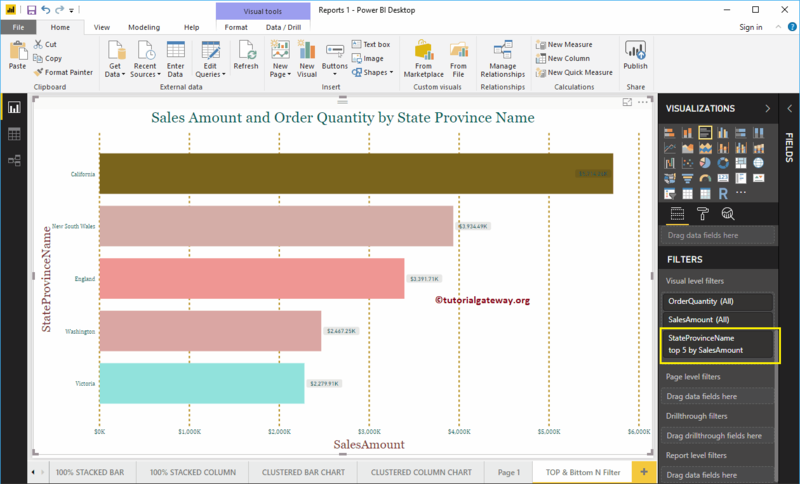 Below report is displaying the Top 10 states according to their Sales Amount. 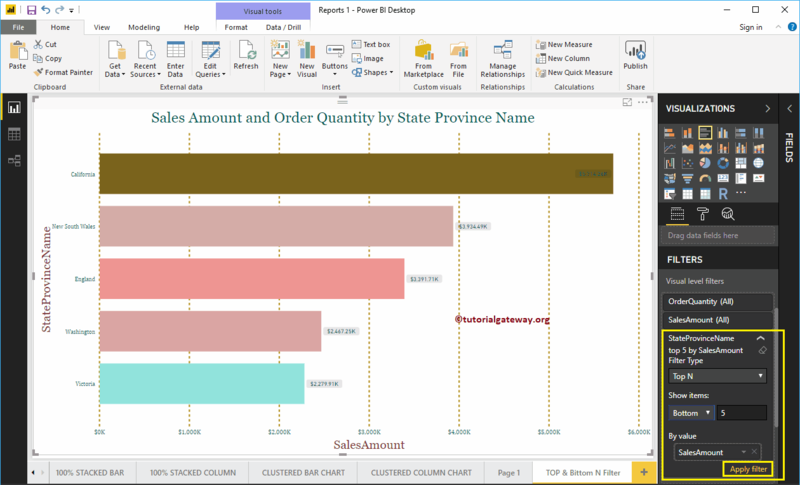 Or we can say, Top ten states based on their sales Amount. 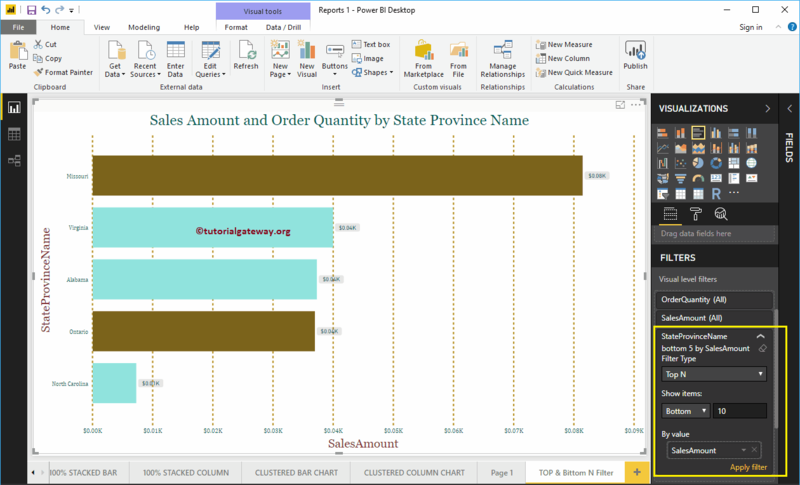 Below report is displaying the bottom 5 states as per their Sales Amount. Or we can say, Least performing states. 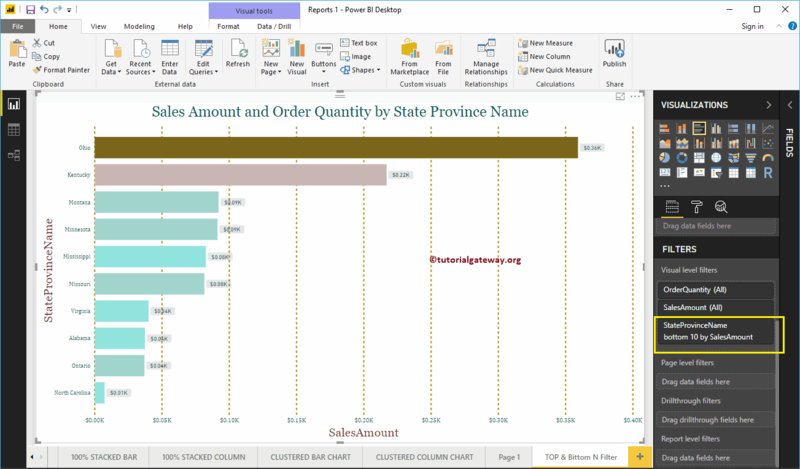 Below report is displaying the bottom 10 states as per their Sales Amount.